How do you keep up with all that is going on in the world of e-discovery? 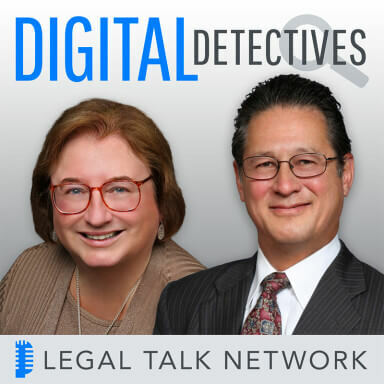 On Digital Detectives, co-hosts Sharon D. Nelson, Esq., President of Sensei Enterprises, Inc. and John W. Simek, Vice President of Sensei Enterprises, welcome guest, Neil Squillante, publisher of LitigationWorld, who discusses his selection of resources for staying current in e-discovery. Neil tells us how to keep up with e-discovery developments, lists his favorite blogs and podcasts, and explains how you can benefit from the Sedona Conference and webinars. Special Thanks to our sponsor, Digital WarRoom.